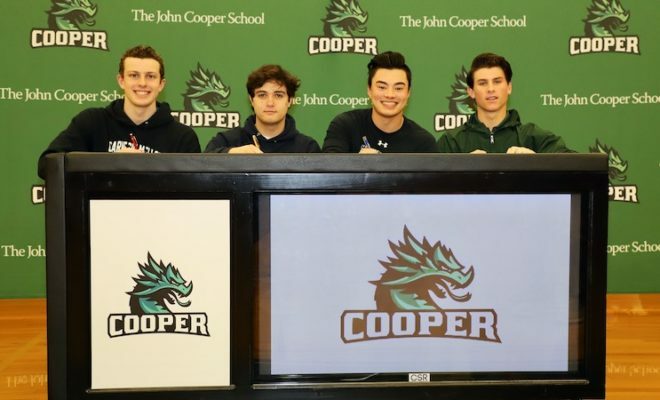 The John Cooper School Athletic Department held a signing ceremony on Wednesday, February 6, National Signing Day, in the Dunlap Gymnasium, to recognize four senior athletes who will be competing at the college level in the fall of 2019. 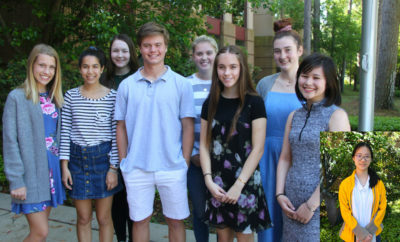 Parents, faculty, coaches and teammates joined Athletic Director John Hoye to honor the student athletes who will compete in baseball and swimming. TOP PHOTO: From left, are William Staebel who will swim at Carnegie Mellon University, Braden Sebesta will represent Carleton College on the baseball field, Jonathan Spangler-Sakata will play baseball for Johns Hopkins University and Evan Godwin will play baseball at Baylor University.